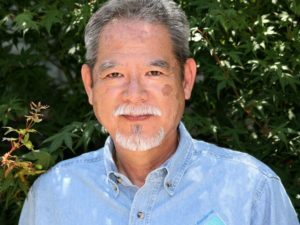 On Wednesday, July 12, 2017, John Kabashima, Ph.D., noted horticulturalist, researcher, and expert on pest control and water use paid a visit to Village Nurseries to present at the Lunch and Learn events held at the Orange and Huntington Beach Landscape Centers. John’s informal roundtable presentation was geared toward landscape professionals. He gave an Integrated Pest Management (IPM) perspective on landscape maintenance, including water management to control pests who feed on new growth, understanding pest anatomy, and identifying and tracking pests. John’s presentation was part of Village Nurseries Landscape Centers’ Lunch and Learn series for landscape professionals. The next event will be held August 9, 2017, on the topic of irrigation and mulch, presented by James Minnich of Ewing Irrigation & Landscape Supply. See future events on our calendar.